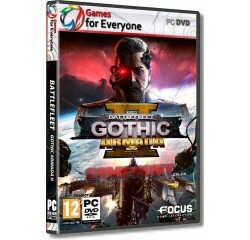 Battlefleet Gothic - Armada 2 - R180,00 : Game Hunt, Where we lead, others follow. Three dynamic solo campaigns (Tyranids, Necrons and Imperium). Processor - Intel Core i5-3450 or AMD FX-6300® or equivalent AMD® processor.